Another tip for jump-starting mid-year writing. In my first writing group, more than fifteen years ago, I learned about the power of holding at least one ‘submission party’ during the year. A submission party meant that we planned a date and we all brought our polished manuscripts, manila envelopes, our bundle of SASEs (self-addressed stamped envelopes –yes, back in those days when you had to send manuscripts via snail mail and with a SASE! ), and food and drink to someone’s house. We helped each other write query letters, find new markets to submit work, develop submission charts, and triple check final copies of stories. And, the best part of all, we’d each leave with several stuffed packets ready to mail to magazine and anthology editors and contest judges. These parties uplifted us and took the fear, dread and challenge out of submitting. And, they helped us get a batch of stories into the mail at one time. If you are trying to stretch yourself by increasing your submission rate, a submission party might be just the kind of event that inspires you. Last year, my current writers’ group decided to gather for a submissions party. 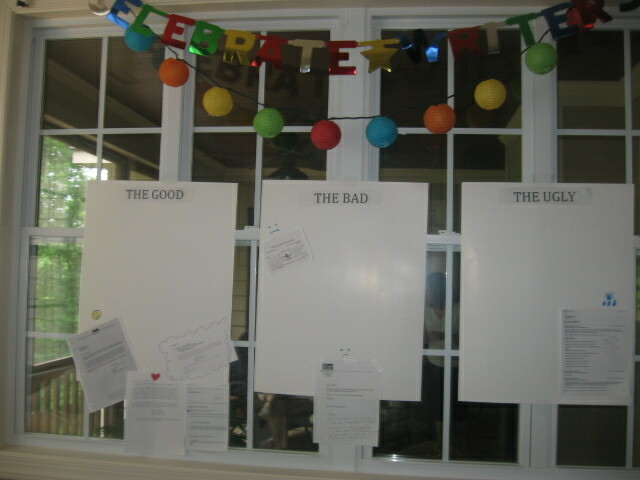 Now, we were very lucky as our impeccable host went above and beyond throwing a simple submissions party. She set up stations where we could list our current writing accomplishments and talk about the rejection (or acceptance) letters we had received (i.e. the ‘good, bad and ugly’). 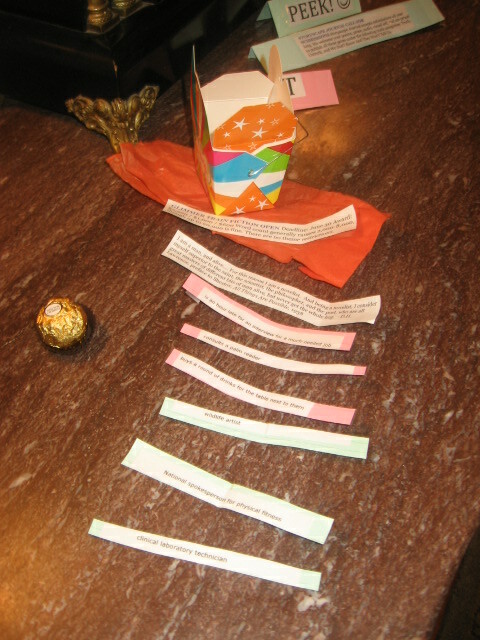 She also made up little gift boxes for each of us containing chocolate, specific submission markets and also laminated strips of paper with prompts for building characters (gleaned, she said, from the local community college catalog—reminding us that inspiration is everywhere). 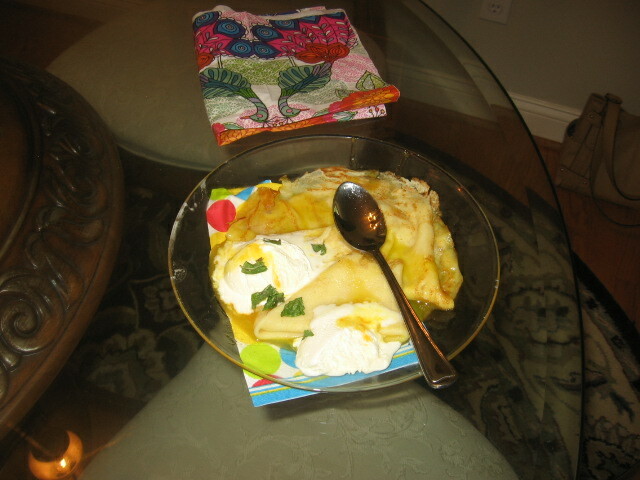 And, to top it all off, she also made delicious crepes! 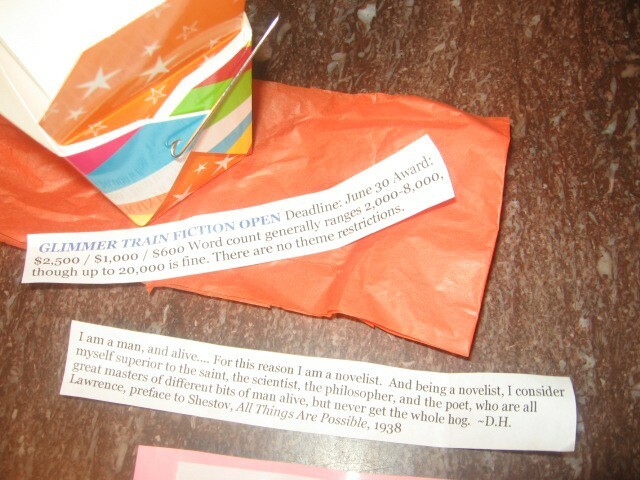 At this party, we also helped one of the writers come up with a marketing strategy for her recently published novella. We traded literary journals and read aloud some of our favorite poets. We talked about our dreams for ourselves as writers and, of course, we told stories. We’re a critique group that meets monthly, so this party was a nice departure from our usual routine. We’re planning another submissions party in July and I suggested that we each bring a recipe for a drink of one our favorite writers (or make up one for a character that we’re working on). The making and sampling of a variety of non-alcoholic and ‘adult beverages’ should be fun! At your next writers’ group meeting, suggest hosting a submission party during the summer. And, it doesn’t have to be as elaborate as the one I described. And, if you’re not in a group (Well, you should be! Remember–when focused friendly people come together to support each other, they can produce incredible results! ), then ask a writing buddy, if he or she would be interested in executing this idea on a smaller scale.